This tutorial explains how to use Don’t Persist Message. It also describes the configuring of it. 1. What is Don’t Persist Message? “Don’t Persist Message” is a flag that set to not persist the message into database. The default value is “uncheck” meaning that message will be persist by default. You can use Don’t Persist Message for both Inbound and Outbound interfaces. Note: Only the successful messages are deleting but not the failed and pending messages. We have to create integration. Please refer tutorial to create Integration. -> What is an integration and how to create it? We have to create Interface. Please refer tutorial to create Interface. ->What is an interface and how to create it? Step 1: Enter interface detail page and check “Don’t Persist Message” flag to activate the service. 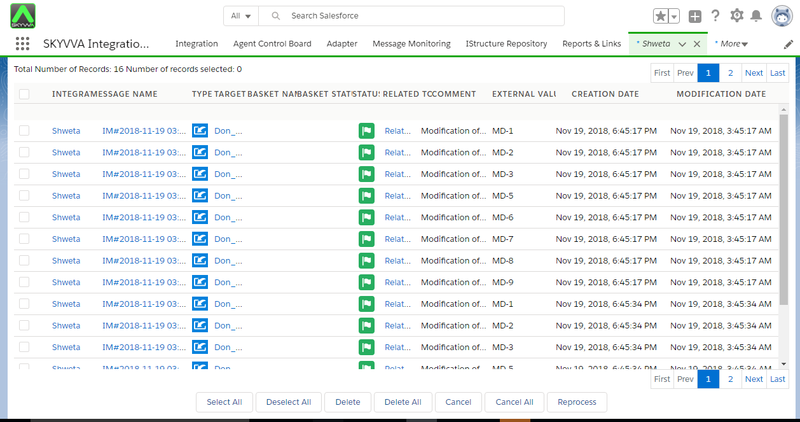 After you done configuring, you can integrate the data into Salesforce. As example, this document will be portray the sample of integration through Agent. 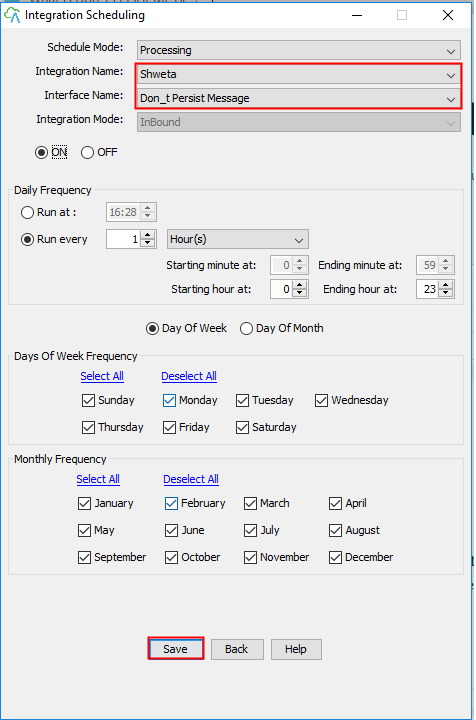 Log into Agent enter Integration Scheduling then set the schedule to run.